Shhh….Don’t tell anyone. I think Spring may finally have arrived in my little corner of the frozen tundra. Winters up here always seem like they are going to go on forever. We had a high temperature in the 70’s yesterday and are supposed to hit the upper 70’s again today and tomorrow. The highs are going down to the upper 60’s after that, but it’s definitely progress. For two days in a row now I haven’t needed to wear a coat to work! The trees and bushes are all in bloom and even the sides of the interstate seem almost pretty. 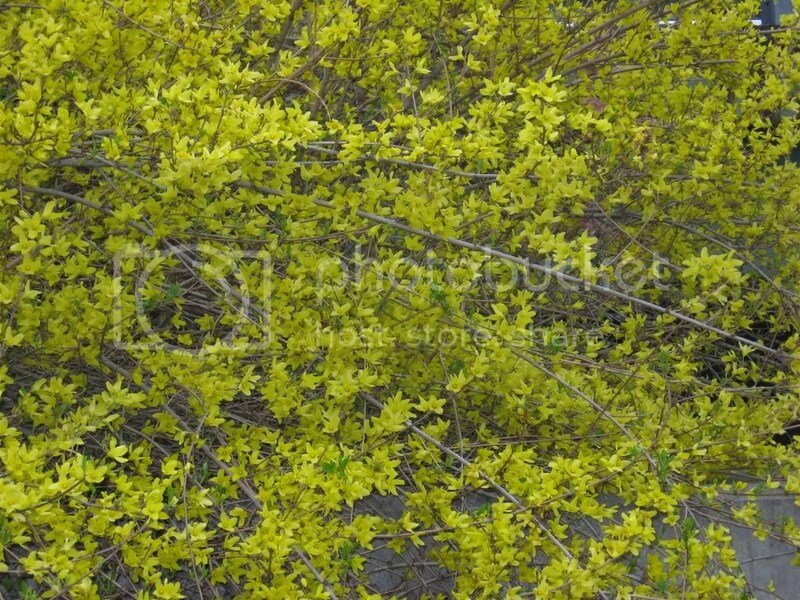 There is flowering forsythia all over the place beside the roadways in this state. Believe it or not, this picture was taken out of my car window as I was exiting into downtown Newark last Friday afternoon. You can’t even see the graffiti behind the flowers.